"Watch therefore, and pray always that you may be accounted worthy to escape all these things that will come to pass." "Blessed are those servants, whom the lord when he cometh shall find watching." "If therefore thou shalt not watch, I will come on thee as a thief." "Watch therefore, for ye know neither the day nor the hour wherein the Son of man cometh." "Now it is high time to awake out of sleep: for now is our salvation nearer than when we believed." Are there too many coincidences in the Boston Bombings official narrative to call them coincidences? Behind each one lurks the shadow of Graham Fuller—a top CIA strategist who famously advocated co-opting Islamic extremists to further advance the US agenda in Central Asia—and his cozy ties with the accused brothers’ uncle. William Engdahl delves into the ramifications of the Fuller-Tsarni connection, the most compelling of the Boston smoking guns, and the threatening can of worms it has opened up. One of the many unexplained (at least not officially) anomalies of the persons claimed to have carried out the Boston Marathon bombings is the presence of key CIA figure in the direct family of the accused brothers. Ruslan Tsarnaev, the outspoken uncle of the brothers, was married to Samantha A. Fuller until 2004. Samantha’s father is Graham Fuller, the senior CIA person who architected the Afghan Islamic fundamentalist Mujahideen war against the Soviets. He is also implicated in creating a global jihad network, presumably acting on behalf of CIA interests. Take it all in: The two brothers, Dzhokhar Tsarnaev and Tamerlan Tsarnaev, accused though never proven in a court of law to have been responsible for the Boston Marathon bombings, had an uncle, the same uncle who agreed to bury the remains of the one dead brother. This uncle was married to the daughter of Graham Fuller, one of the most important CIA architects of using Islamic Jihadists/terrorists against the USSR during the Cold War and after, throughout Central Asia, including Chechnya and Kazakhstan. Coincidence? The discovery of the connection between a very, very senior CIA man, Graham Fuller, to the uncle of the accused Boston bombers was more than a bit embarrassing for Fuller. He took what for a professional CIA agent was an extraordinary step of issuing a public denial. Fuller went on to claim Ruslan was “homesick” for Chechnya and that his English was “shaky,” yet after the Boston bombings, a very English-fluent Ruslan gave a press conference from his posh Maryland home denouncing his nephews. Russia’s main pipeline route out of the Caspian Sea basin transits through Chechnya and Dagestan. The 1994-1996 Chechen war, instigated by the main rebel movements against Moscow, served to undermine secular state institutions. The adoption of Islamic law in the largely secular Muslim societies of the former Soviet Union served US strategic interests in the region. This is precisely what happened in Chechnya with hundreds of CIA-trained Jihadists and Al Qaeda fighters sent into Chechnya, Dagestan and other parts of the former Soviet Union, precisely where Uncle Ruslan and his two Tsarnaev nephews came to the USA from. Coincidence? Is it mere “coincidence” that the uncle of the two young men accused of the Boston bombings was related in marriage to the CIA figure who advocated using the networks which were later named “Al Qaeda” across Central Asia, including Chechnya where the Tsarnaev brothers had roots? The more independent researchers examine evidence around the Boston terror bombings, the more the official US Government version of events stinks. Pictures of private security contractors carrying large backpacks at the direct bombing site after the bombing and chatting with police, reports of eyewitnesses of police over loudspeakers telling marathon runners there was a “terrorism exercise” taking place as a test that day. All these anomalies, combined with the CIA ties of Uncle Ruslan, present an incredible set of coincidences. It is time for an open and serious citizen commission of inquiry be formed to investigate. It may be that carelessness somewhere exposed Graham Fuller and the tip of a very secret and very explosive network of international terror whose ties with Langley and the US Government are inadvertently coming into daylight in what might well be the most important revelation of destructive secret intelligence operations in modern history. Graham Fuller, ’methinks thou doth protest too much,’ when you proclaim absurd ties between the CIA and accused Boston bombers, and that is drawing the spotlight of the civilized world to you and your accomplices and activities. Fuller’s earlier role in Turkey with another network of Salafist fundamentalist Islam will be our next view into the murky underworld of intelligence agencies and attempts to manipulate entire parts of the human population. Emine Dilek,The Tale of Uncle Tsarnaev CIA Chief Graham Fuller and a Turkish Islamist Who Lives in USA, April 27, 2013. Laura Rozen, Former CIA officer: ‘Absurd’ to link uncle of Boston suspects, Agency,, The Back Channel, April 27, 2013. Center for Grassroots Oversight, Profile: Graham Fuller. RT, Tsarnaev brothers’ mother: My sons are innocent, this is a setup, 19 April 2013. In the first part, geopolitical analyst William Engdahl discussed the role of CIA’s Graham Fuller in creating the policy of using angry Jihadist Muslims as trained terrorists in Afghanistan and elsewhere against the Soviet Union. Herein—largely drawing on the revelations made by FBI whistle-blower Sibel Edwards—Engdahl throws the spotlight on the entire CIA-sponsored Islamic Jihadist operations run through Fetullah Gülen across Turkey into Central Asia and Russia and China. Graham Fuller (foreground) and Turkish Muslim guru Fetullah Gülen who has dark ties to CIA and fanatical Jihadist groups worldwide. The public admission by Fuller, on a website reportedly tied to the CIA, of his relationship to the Uncle of the alleged but not ever convicted Boston bombers  opened a can of worms the CIA might well wish never had been opened. As later identified, among the people uncovered by Edmonds’ translation efforts at FBI were notorious neoconservative Richard Perle, Iraq war architect who headed Bush’s Defense Policy Board advisory committee in 2001; Douglas Feith, neocon Under-Secretary of Defense under Bush-Cheney; Anwar Yusuf Turani , key figure in the anti-Beijing Uygur separatist operations under the name East Turkistan National Freedom Center in Washington DC. East Turkistan is their name for China’s Xinjiang Province where Uygur riots took place several years ago. Turani modestly calls himself President-in-exile, East Turkistan (Xinjiang), though it’s by no means clear who if anyone elected him. Whistleblower Sibel Edwards has revealed extraordinary information on the U.S. government’s support for international terrorist networks and organised crime. She was described as "the most gagged person in the history of the United States" by the American Civil Liberties Union. Graham Fuller was one of the 21 American Deep State rogues, Edmonds posted. In 1995, according to investigative journalist Daniel Hopsicker, the uncle of the alleged Boston bombers, Ruslan Tsarnaev, “incorporated the Congress of Chechen International Organizations in Maryland, using as the address listed on incorporation documents 11114 Whisperwood Lane, in Rockville Maryland, the home address of his then-father-in-law.”  Father-in-law was Graham Fuller whose daughter was married to Uncle Ruslan. 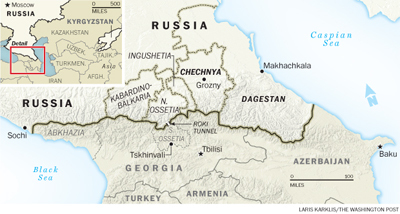 Chechnya, an autonomous province of Russia deeply involved in oil pipelines from the Caspian Sea, has been the scene of Islamic jihad terrorists since the dissolution of the Soviet Union in 1991. In 1995 when Uncle Ruslan founded the Congress of Chechen International Organizations from Graham Fuller’s home, the Islamist Jihad terror war against Moscow was raging full-force in Chechnya. Putin and Russian intelligence have repeatedly claimed the terrorism was being fed from outside. Fethullah Gulen, lives in Pennsylvania. From there he runs a $25 billion international network. He is tied to hundreds of Gulen charter schools in the United States itself, 36 of which are located in Texas alone. Gülen schools in Russian, Chechnya and Dagestan regions, both locations of fanatical Jihadists since 1991, were ultimately banned by Putin. The Russian government has banned all Gülen schools and the activities of the Gülen-linked Nurcu sect in Russia. Over 20 Turkish followers of Gülen were deported from Russia in 2002-2004. In 1999 Uzbekistan closed all Gülen’s Madrasas and shortly afterward arrested eight journalists who were graduates of Gülen schools and found them guilty of setting up an illegal religious group and of involvement in an extremist organization. I've met with responsible Turkish journalists who related to me that Gülen-loyal police tied to Edrogan’s AKP have infiltrated the Turkish police, intelligence services, and other key state institution; and they are systematically arresting, purging or silencing all nationalist military, trade union and other secular figures opposed to creation of an Islamic Sharia state in Turkey, uprooting ninety or more years of Kemalist legal foundations. More than one hundred Turkish journalists have been arrested for writing critically about the actions of Gülen’s AKP. "You must move in the arteries of the system without anyone noticing your existence, until you reach all the power centers, until the conditions are ripe." Sounds a bit like Lenin in the old days. Certain networks in Washington, including people in and around Fuller, obviously have no problem with that. "For America, the chief geopolitical prize is Eurasia...America’s global primacy is directly dependent on how long and how effectively its preponderance on the Eurasian continent is sustained…It follows that America’s primary interest is to help ensure that no single power comes to control this geopolitical space and that the global community has unhindered financial and economic access to it." Washington has used Turkey and the AKP fundamentalist networks of Gülen to wreak havoc across the post-communist oil and mineral-rich regions of Central Asia. 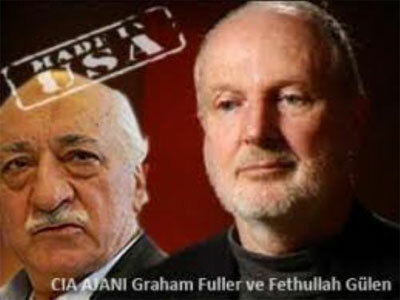 Graham Fuller’s foot prints are all over those covert operations as are Fetullah Gülen’s. Her middle name suggests a reference to her father’s CIA posting in Turkey. Some are beginning to ask whether the Boston bombing might have been a deception operation carried out by the Rogues associated with Graham Fuller and the network within the CIA and Pentagon, to make it appear Putin was behind the ghastly events. In any case, when Graham Fuller went to the press to publicly denounce CIA links to the Tsarnaevs, he made what is likely to go down as one of the greatest snafus in US intelligence history. He lost his cool, and with it, has put the spotlight on the entire CIA-sponsored Islamic Jihadist operations run through Fetullah Gülen across Turkey into Central Asia and Russia and China. Laura Rozen, "Former CIA officer: ‘Absurd’ to link uncle of Boston suspects," Agency, Back-Channel Al-Monitor, April 27, 2013. Laura Rozen, "Former CIA officer: ‘Absurd’ to link uncle of Boston suspects, Agency," Back-Channel Al-Monitor, April 27, 2013. Daniel Hopsicker, "Boston bombers’ uncle married daughter of top CIA official," April 26, 2013. See "The Government-in-Exile of East Turkistan Republic"
 Sibel Edmonds, Classified Woman – The Sibel Edmonds Story, First Edition, 2012. Sibel Edmonds, "Sibel Edmonds’ State Secrets Privilege Gallery." 2006 Campagna-Kerven Lecture Series, Speaker Bio - GRAHAM E. FULLER. Emine Dilek, "The Tale of Uncle Tsarnaev CIA Chief Graham Fuller and a Turkish Islamist Who Lives in USA," progressivepress.net, April 27, 2013. Sibel Edmonds, "Turkish Intel Chief Exposes CIA Operations via Islamic Group in Central Asia," boilingfrogspost.com, January 6, 2011. Pelin Turgut, The Turkish Imam and His Global Educational Mission, Time, April 26, 2010. Sibel Edmonds, cited in "The Turkish Lobby, the Neocons, and the Crusade to Free the Ergenekon Terrorists," rastibini.blogspot.de, December 15, 2008. Luke Ryland, "Court Documents Shed Light on CIA Illegal Operations in Central Asia Using Islam and Madrassas," lukery.blogspot.de, July 10, 2008. As I read you started to research about Gulen Cemaat when you came to Turkey for a conference. What was the thing that attracted your interest about Gulen and his members? WE: I am a geopolitical researcher and author now for more than thirty years. My prime theme is geopolitics or how power is organized in our world by whom, to what aim. When I was invited to Turkey on a speaking tour for one of my books, a Turkish journalist who since has become a trusted friend suggested if I wanted to understand what was going on in Turkey, a country I have long considered to have a far more positive role than she has played within NATO, I should look deeply into the Gülen Cemaat. That began a long process as I began to realize the deeper agenda behind the façade of Rumi that Gülen and his people project. Our first knowledge about Gülen is his struggle against communism via a foundation (which was a NATO agenda indeed). So could we say that Gülen and his CIA relationship started long ago? WE: Yes, all evidence suggests that NATO Turkish Gladio networks picked up Gülen as a potentially useful asset years ago. As their agenda changed with the collapse of the Soviet Union, their role for Gülen changed as well and doors were opened for him to play that role. So in a true sense we can say that the Gülen Cemaat is the nothing more than the projection of an idea from Langley Virginia CIA headquarters, an idea from essentially stupid people there who believed they could use him and they could abuse religion as a cover to advance their design for global control, what David Rockefeller calls One World Government. Unlike the CIA’s Mujahideen Jihadists like Hekmatyar in Afghanistan or Naser Oric in Bosnia, the CIA decided to give Fethullah Gülen a radically different image. No blood-curdling, head-severing, human-heart-eating Jihadist. No, Fethullah Gülen was presented to the world as a man of “peace, love and brotherhood,” even managing to grab a photo Op with Pope John Paul II, which Gülen featured prominently on his website. The Gülen organization in the US hired one of Washington’s highest-paid Public Relations image experts, George W. Bush’s former campaign director, Karen Hughes, to massage his “moderate” Islam image. The ideas and manipulations of the CIA and US State Department are collapsing everywhere today, but they are blinded by their own arrogance. Just look at their absurd mess they created with the neo-nazis in Ukraine. As it's a very conflicted subject, how do you certainly believe that Gülen and CIA work together? WE: This is not merely my view but that of very knowledgeable Turkish analysts and even the former Turkish MIT senior figure, Osman Nuri Gundes, former FBI Turkish-American translator Sibel Edmonds, and others have documented his deep links to very senior CIA people such as Graham Fuller. When Gülen fled Turkey to avoid prosecution for treason in 1998, he chose not to go to any of perhaps a dozen Islamic countries which could have offered him asylum. He chose instead the United States. He did so with the help of the CIA. The US State Department tried to block a special “preference visa as an alien of extraordinary ability in the field of education” permanent visa status for Gülen, arguing he was basically a fraud with a fifth grade education and no special Islam scholar. Over the objections of the FBI, of the US State Department and of the US Department of Homeland Security, three former CIA operatives intervened and managed to secure a Green Card and permanent US residency for Gülen. Intervention by three current or “former” CIA people--George Fidas, who was US Ambassador to Turkey and an ex CIA Deputy Director; Morton Abramowitz who was described as at least “informal” CIA, and CIA career man who spent time in Turkey, Graham E. Fuller. They got Gülen asylum in Saylorsburg, Pennsylvania. That certainly suggests a strong tie at the very least. Was the relationship between Gulen and the CIA depending on both parties’ benefits? If so what were their benefits? How did CIA support Gulen to develop and grow his foundation? WE: Yes, clearly. For the Gülen Cemaat it enabled a vast business empire to be created which gained more and more influence by placing its people inside the police, the courts and education ministry. He could build his recruiting schools across Central Asia with CIA support. In the USA and Europe, CIA-influenced media like CNN gave him beautiful free publicity to overcome opposition to open his schools across America. For the CIA it was one more tool to destroy not only an independent secular Kemalist Turkey, but to advance their Afghan drug trade worldwide and to use Gülen’s people to destabilize opponent regimes that the CIA network in Washington, the “deep state”, wanted to get rid of. Sibel Edmonds, former FBI Turkish translator and “whistleblower,” named Abramowitz, along with Graham E. Fuller, as part of a dark cabal within the US Government that she discovered were using networks out of Turkey to advance a criminal “deep state” agenda across the Turkic world, from Istanbul into China. The network that she documented included significant involvement in heroin trafficking out of Afghanistan. On retiring from the State Department, Abramowitz served on the board of the US Congress-financed National Endowment for Democracy (NED), and was a co-founder with George Soros of the International Crisis Group. Both the NED and International Crisis Group were implicated in various US Government-backed “color revolutions” since the 1990’s collapse of the Soviet Union, from Otpor in Serbia to the 2004 Orange Revolution in Ukraine, the 2013-14 coup in Ukraine, to the 2009 Green Revolution in Iran, to the 2011 Lotus Revolution in Tahrir Square in Egypt. Graham E. Fuller had been immersed in the CIA’s activities in steering Mujahideen and other political Islamic organizations since the 1980’s. He spent 20 years as CIA operations officer in Turkey, Lebanon, Saudi Arabia, Yemen, and Afghanistan, and was one of the CIA’s early advocates of using the Muslim Brotherhood and similar Islamist organizations like Gülen Cemaat to advance US foreign policy. How does CIA work via Gulen schools at Middle-Asia? WE: First it should be noted that Russia moved swiftly to ban the Gülen schools when the CIA began the Chechyn terror in the 1990’s. In the 1980’s when the Iran-Contra scandal broke in Washington (a scheme authored by Fuller at CIA), he “retired” to work at the CIA and Pentagon-financed RAND think-tank. There, under RAND cover, Fuller was instrumental in developing the CIA strategy for building the Gülen Movement as a geopolitical force to penetrate former Soviet Central Asia. Among his RAND papers, Fuller wrote studies on Islamic fundamentalism in Turkey, in Sudan, in Afghanistan, Pakistan and Algeria. His books praise Gülen lavishly. Gülen was named by one former FBI authoritative source as, “one of the main CIA operation figures in Central Asia and the Caucasus.” During the 1990’s the Gülen schools then growing up across Eurasia were providing a base for hundreds of CIA agents under cover of being “native-speaking English teachers.” Osman Nuri Gundes revealed that the Gülen movement “sheltered 130 CIA agents” at its schools in Kyrgyzstan and Uzbekistan alone in the 1990s. Gulen migrated from Turkey to USA in 1999, 3 days after terrorist Kurdish movement leader Abdullah Ocalan was kidnapped and brought to Turkey. What did it mean? Could Gulen co-operate better with CIA when he moved USA? WE: I think the CIA feared Gülen would end up in prison and could be far more useful in US sanctuary where they could feed his image better and pump up his aura. Now clearly Gülen fears to return to Turkey even though he legally could. That says a lot. What does Gulen Foundation do for the benefits of CIA inside Turkey and Middle-East? WE: That would require a much longer discussion. What I find interesting is how a deep and now bitter split has emerged between Gülen Cemaat in Turkey and President Recep Tayyip Erdoğan. I believe Erdogan began to pursue his own agenda and that came in collision with that of the CIA and State Department for Turkey in the larger world. Turkish goverment AKP currently is running a huge police operation against Gulen members among justice and police organisation. On the other hand, there is public scepticism about these operations as AKP and Gulen were also allies before the November 17th corruption scandal occurred. So could we say that AKP, Tayyip Erdogan and CIA were also allies once? WE: Turkey is a NATO member, so no Turkish government is permitted for long if it tries to be independent of NATO, i.e. Washington, for long, as you know. When Erdogan began going his own way, the US networks began to demonize him in media worldwide, and Gülen media attacked him fiercely. I believe the split between Erdogan and Gülen went long before November 17th scandals. Who was behind the leaking of those accusations? What was US Ambassador Francis Ricciardone doing in that regard? Interesting questions for someone. You say that CIA is at Gulen's side in their fight against AKP. What could CIA do to stop Erdogan and AKP? WE: My opinion is that was what the scandals were for, to try to prevent Erdogan’s election as President, but they failed. Keep in mind the “scandal” was about how Erdogan allegedly violated US oil sanctions against Iran, so the scandals were intended to break that trade, a Washington goal. William Engdahl is author of A Century of War: Anglo-American Oil Politics in the New World Order. He is a contributing author at Boiling Frog Post and may be contacted through his website at www.engdahl.oilgeopolitics.net where this article was originally published. I am the investigative journalist who discovered that the bombers' Uncle Ruslan (http://www.madcowprod.com/2013/04/26/boston-bombers-uncle-married-daughter-of-top-cia-official/), so visible on TV after the bombings, had been married to the daughter of former top CIA official Graham E. Fuller. Ruslan Tsarni's intelligence connections (USAID, Halliburton, and participation in a huge ongoing scandal playing out in London over the looting of $6 billion from Kazakhstans third-largest bank) go well beyond his marriage to Graham Fuller's daughter. I made no "tin foil hat" claims about what this means about the guilt or innocence of the Tsarnaev brothers accused of the crime. What DID strike me as strange is this: Yesterday news of the bombing was all about the search for evidence of who may have recruited Tamerlan to commit a terrorist act on US soil, with an FBI manhunt underway for a "red-haired Armenian Muslim exorcist." My point: If the FBI is looking for a link to who recruited you, and your uncle is a spook who was at one time married to the daughter of a top CIA official, that would seem to be a good place to start. As Sibel Edmonds says, Tamerlan Tsarnaev fits the profile of a potential CIA recruit 100% - Russian passport, fluent in English and Russian, apparently well-assimilated into US culture. All it needs is CIA's attention to be drawn to him, and Uncle Ruslan is well-placed to do that. To be of any use to CIA support of Chechen jihadists, he has to have a new persona showing jihadist tendencies, which magically appears on the internet. Posting "likes" of bomb-making videos is hardly something that a solitary jihadi bomb-maker would do, is it? He plans to visit Russia in January 2012, but before he goes, FSB contact FBI to tell them they know he has had contact with Chechen jihadists. They must know he is a CIA asset, and this is their way of saying 'don't bother, we know he's one of yours'. So he is of no further use to CIA, and a danger to anyone he talks to. FBI obviously checks with CIA and publicly says they found him clean and closed the file. Closed the file! - on a potential jihadi terrorist, I don't think so. So he goes to Russia anyway, is presumably watched intently, and does nothing, doesn't get arrested, and comes home. 9 months later he is seen at the Boston bombing and FBI calls for anyone who can identify him to come forward. 3 days later he is killed in a massive hail of bullets. A short and useless CIA career. Fuller quashed the Waltham Police investigation into the triple-homicide of Tamerlan's best friend by getting the case kicked up to Mass State Police, out of the hands of local WPD, where the FBI/CIA could sit on it. Nothing new for FBI-Boston and Mass Staties. They excel at that kind of criminal aiding and abetting corruption. Go watch the movie The Departed again. It's all about them and Whitey Bulger. btw, Bulger was arrested in June 2011, so FBI-Boston could not have cared less about Tamerlan's comings and goings at the time. Who knows, perhaps fuller arranged for Bulger's capture to divert attention for FBI-Boston. Stranger things have happened where the CIA is involved. Basically, Fuller makes a deal to give FBI-Boston Bulger to leave his Chechen shadow warriors alone. Because that's just what the CIA has been doing for the past 20 years in the Northern Caucasus, conducting a shadow war with Russia whereby CIA calls the shots through Muslim operatives. Do you think Fuller gives a good goddamn that a few people died and others were injured in Boston? Do you know how many billions have been extracted from Caspian and Central Asian oil and heroin? Yes, heroin. Youtube Bonner CIA and cocaine or whatever it is. How do you think the CIA pays for its most covert operations? The CIA are all murdering scum. They've been running drugs all over the world for years, inciting "terrorism"; they're worse than any criminal organization there is. They arm sociopaths, train them and let them loose on their enemies...I think Obama put Brennan in charge of the CIA because he remembered what happened to Kennedy. What is Fuller supposed to say, "No, it's not absurd at all. Ruslan got preferential treatment due to my contacts at the CIA, FBI, and State Dept. He was married to my daughter because I had been running Ruslan and hundreds of other operatives in the Chechen mafia for years, and I knew Ruslan very well. I even arranged for him, with his shaky English to get into Duke Law, and I even paid for it, well I paid for it with profits from CIA drug sales, but it was still some of my dough"? And it's too funny that his memoir is "Three Truths and a Lie" and he even mentions it while doing the email interview, like he's laughing in your face about lying while selling you his book. He had no other choice than to admit the marriage, there are records he can't deny. Like to check his memoir to see how he handles it. I imagine a brief mention, nothing too detailed. Tsarni changed his name anyway. Graham probably told him to change it. Laura Rozen, thanks for reporting this on this neglected angle. I came here via a link at Steve Sailer's blog post Did Tsarnaevs get asylum through Deep State nepotism and string-pulling? (http://isteve.blogspot.com/2013/04/was-tsarnaevs-asylum-deep-state-nepotism.html). Sailer's reporting on the Boston Marathon bombing has been first rate, and iconoclastic -- he's discussing angles that are being missed by most media sources. "Fuller said he thinks he met Ansor Tsarnaev once, fleetingly, in Kazakhstan. His daughter, he said, knew the family better, but when Tamerlan was just a toddler, and Dzhokhar not yet born." The older Tsarnaev brother was not a "toddler" during the marriage (born around 1987) and the younger was born by 1994 so he was around while they were married. Of course, its 20 years ago and memories fade but... There is still a lingering smell and Fuller's assertion that there could be no CIA involvement with the uncle, while perhaps true, does not rule out involvement with other agencies or simply as an unknowing cutout. Today, Fuller's daughter Samantha lives abroad, and is a director of several companies pursuing strategies to increase energy production from clean-burning and renewable resources. According to Uncle Ruslan, Misha was the man who over a considerable period of time had radicalized Tamerlan. It seemed strange, then, that in contrast to his “you are there” verbal picture of the man, even with all his supposed concerns, and given his high level of education and abundant resources (Big Sky Energy was paying him in excess of $200,000 a year, according to documents filed with the SEC) Ruslan had somehow never found out just who the bad guy was. He never got a name, something that in spook-dom is considered something of a faux pas. Then again, no one else had either. Worse, Tsarni's vivid description seemed to be taken from personal observation, from, in other words…real life. But that isn’t possible. Tsarni had stated he hadn’t been physically in the presence of his Boston relatives since December 2005. And Misha, if he existed, didn’t show up on the scene until 2008 at the earliest. Still, just a few days later, the entire family began chiming in. Misha anecdotes were flying fast & furious, and the nation’s scribblers were busy uncritically scribbling down their every word. No performance was nearly as masterful, however, as that of the Associated Press. "Tamerlan's relationship with Misha could be a clue in understanding the motives behind his religious transformation and, ultimately, the attack itself," reported the Associate Press. Only to take it all back in the very next line. "Two U.S. officials say he had no tie to terrorist groups." The AP’s “story” about the mysterious “Misha” was 1145 words, long enough for an editor to squeeze in a caveat. The big difference: when you do it, its conspiracy theory. When we do it, its informed speculation. In any other context, this might be seen as the rankest kind of “conspiracy theory.” But, apparently, when the Associated Press does it, its news. Then Uncle Ruslan made a clear mis-step. A USA TODAY report (http://www.usatoday.com/story/news/nation/2013/04/25/boston-marathon-bombing-tsarnaev-misha/2111333/) reveals that the bomber’s Uncle, made famous for his outspoken condemnation of his nephew’s which aired repeatedly on international news networks, is a well-connected oil executive who at one point worked for a Halliburton shell company used as a front to obtain oil contracts from the Kazakh State. Ruslon Tsarni was implicated in an investigation involving the laundering and theft of $6 billion. But everybody loves Uncle Ruslon. At least most of America’s mainstream media does. There has, to date, been no speculation at all about whether an uncle of the men suspected of the bombing who had been involved in international intrigue at the hightest levels, and who married the daughter of a top CIA official, might warrant a closer look. It’s enough, isn’t it, to turn even reasonably rational adults into—gasp!—conspiracy theorists. The uncle of the only Chechen terrorists to carry out an attack on American soil just happens to be living with a top CIA expert on Chechen terrorism? You’d think that would warrant a mention or two. Even stranger, uncle Ruslan and Graham Fuller operated a business out of his house which was dealing with a known al-Qaeda front, Benevolence International. Congress of Chechen International was registered to Ruslan Tsarni, using Graham Fuller’s home address. Benevolence International was an al-Qaeda front based in Saudi Arabia, posing as a nonprofit group. A federal investigation led to it being labeled as a terrorist group by the UN and US government. This document from a US federal court shows a link between Benevolence and Ruslan Tsarni’s company. Benevolence International was supporting Chechen extremists, and the founder reportedly had close ties to Osama bin Laden. Aside from dealing with al-Qaeda fronts, living with the CIA expert on Chechen terrorism, and being the uncle of the Boston bombers, Ruslan Tsarni had an interesting past. He worked under USAID, which is known throughout the world as a CIA front, and has been kicked out of several countries for that very reason. Before that, he worked for energy companies and was even a Halliburton contractor. “What I did do,” Fuller explained, “was write a letter to the FBI in early 2006 …at a time when Gulen’s enemies were pressing for his extradition to Turkey from the U.S. In the post 9/11 environment, they began spreading the word that he was a dangerous radical. In my statement to the FBI I offered my views…that I did not believe he posed a security threat of any kind to the U.S. I still believe that today, as do a large body of scholars on contemporary Islam. Like his Uncle Ruslan, Tamerlan Tsarnaev had a wife with high level connections to US intelligence. Katherine Russell (Tamerlan's wife) is granddaughter of Richard Warren Russell, Skull and Bones member and entrepreneur in the energy industry. Russell’s obituary lists Warren King Russell II as his son – and that’s Katherine’s father. That means the wife Katherine had family spook connections as well as the husband Tamerlan (Uncle Ruslan). And both had fast, dramatic and uncharacteristic conversions to a perverted form of Islam favored by the gangster family that runs Saudi Arabia and works hand in hand with our spooks. What does a massive coincidence like this mean? The CIA is well-known to be a family agency that includes “legacies” in extremely key or sensitive positions. Katherine’s character in the Tsarnaev story should be looked at more closely, even if, for reasons still yet unknown. She is being completely ignored and totally unchallenged by the mainstream media before today. Was she simply his doting wife or the driving force behind his alleged jihadism – or was she merely keeping a close eye on him? I would be good for America to know more about Katherine Russell. Her mere presence in this story is an anomaly in itself – one which does not add up at all. The CIA fraternity is a tight group often bound together by a network of trusted generational family connections running like a vein throughout the agency. Yale University’s elite Skull and Bones fraternity provides legacy framework for an elite inner circle of US intelligence insiders, and whose graduates include Cabinet members, Senators, Presidents and of course, former heads of the CIA. Now we can add Tamerlan Tsarnaev’s mysterious Anglo-Saxon ‘Islamic convert’ wife, Katherine Russell into the mix as a person of interest, and pose the question whether or not both Tamerlan and his Uncle Ruslan could have been in fact handled in some way… through their unusually well-connected wives? Either way, this stands as yet another unbelievable coincidence surrounding key faces in the Boston Bombings. Katherine Russell has CIA pedigree in the family, but we are not sure yet whether she comes from the original Russell line. Coincidentally, the name Russell plays a central role in American secret societies and many believe that they preside over one of the most influential legacies in American history. Yale University’s elite Skull and Bones Society was co-founded by none other than William Huntington Russell (1809 – 1885) along with his classmate at the time, Alphonso Taft. The secret society’s alumni organization, which owns the society’s real property and oversees the organization, is called the Russell Trust Association. Most interestingly, William Huntington Russell came to be a student and protegé of the German philosopher Georg Wilhelm Friedrich Hegel. Russell was particularly impressed with the concept of “thesis versus anti-thesis” which underpins Hegel’s famous ‘dialectic’, where the state is absolute, individuals are granted their freedoms based on their obedience to the state, and where conflict is controlled by an intellectual elite in order to produce a pre-determined outcomes that reinforce the elite’s grip on power. The Hegelian Dialectic recently come to be known as the blueprint behind the concept of the “false flag attack”, embodied in the “problem, reaction, solution” scenario – where you create the problem in order to ignite a public reaction and unbeknownst to the public, a ready-made solution is already prepared and waiting in the wings to be introduced. William Huntington Russell was also a ‘half-brother’, or cousin, to a man named Samuel Russell, who, through his Russell & Co. trading empire, controlled a large portion of the global opium trade at the time, and who controlled almost all opium entering the United States from overseas. This trade also generated the fortunes of many American dynasty families including the Forbes family (see Robert Bennet Forbes). This discovery is just one more piece in the continuing pile of coincidences surrounding the FBI’s ‘prime suspects’ in the Boston Bombing event which took place on April 15th, 2013. What’s even more incredible, is that absolutely no photographs seem to exist whatsoever of Tamerlan and his Islamic convert wife Katherine together. It’s almost as if their ‘marriage’ was something of a staged affair. Investigators into this story should be suspicious of this unusual family set-up and ask more questions about them and their personal histories. The Russell Family has strong connections to and has corrupt dealings with the Mormons, Jehovah’s witnesses, the WT Society, Zionism, Bill Clinton, George Bush and the Skull and Bones, drug smuggling, and the Illuminati in general as stated in Fritz Springmeier’s book “Bloodlines of the Illuminati”. Oh our illustrious CIA. What an organization Truman said he was sorry he allowed to be created. This has been going on sine its inception. Cowards hiding behind the cloak of secrecy, cowering in the shadows, creating havoc on anything and anyone they choose whether they’ve done anything or not. No accountability, does not have to answer to anyone outside the agency itself. I have always understood why JFK wanted splinter into a million pieces and scattered it to the wind. But then there would be an issue of contaminated toxic debris floating around and we would be breathing in nothing but scum and vile. Possibly we all would become cowards from breathing their stinch. Too often, as this article shows, our own government employees are connected to people who are accused of this type behavior. Oswald connected to then Gov. Connally. Ruby connection to VP Johnson. Hinkley’s close friendship with Bush family, as well as DeMorenschildt (sp) to Bush. Manipulations of the innocent and unsuspecting are a trademark of the cowards these people are, and history proves this. The numerous heads of the CIA have done nothing positive for the American people. The mere thought they had anything to do with assassinating any president is cause for abolishing the agency all together. Putting them out of work and doing away with the CIA would cause less human misery than honest down to earth citizens and their businesses. When will our leadership of this country come out from under the control of the Bush family and awaken to what is being done to our country and its citizens? The CIA needs to be exposed for the scoundrels they always have been and still are-cowards, liars, and traitors. A servant appeared with a bottle. Tenet knocked back some of the scotch. Then some more. They watched with concern. He drained half the bottle in a few minutes. Professor James Tracy of Florida Atlantic University was censured for starting a blog questioning the Sandy Hook affair. Many are coming to his offense however. Initially there was a “public uproar” by the same old tired players. I have never met this professor but God I love him. For someone like this to put it all on the line and know the heat he would be taking is phenomenal. He represents what freedom in the hearts of all men of good will on this planet. He is by the way a professor of communications and he is “communicating”. The zios at the university are looking at all machinations on how to fire him, from implicating the University in controversial matters to whaaaaaaaaatever. His position is he can do whatever he wants in his free time and cannot start a web site signing in as … somebody with no name who wishes to communicate. He is very different from the peanut butter sandwich eating wimps most of us are familiar with when we attended college. The man actually believes he is free. Let us all support him for his destiny is your destiny. Graham Fuller, Ex-father in law of uncle Ruslan of the so called Boston bombers… Graham Fuller… 20-year CIA GLADIO man …GLADIO mo established by Bologna bombing 1980… Public bombing… strategy of tension…just HAPPENS to be directly connected to two young men set up as the the “Boston bombers… yet never mentioned in NYT or WP. Is that what you call interoperability? Sibel Edmonds replied: Exactly. Graham Fuller exhibited in my ‘State Secrets Gallery’ since 2006. The handler of Mullah Imam Fetullah Gulen. The same Graham Fuller. I wonder about his OG ranking. OG- 97? Tsarnaev's actual statements to the FBI agents or to Prejean were not released publicly. They are included in hundreds of other court filings that have not yet been released because prosecutors or Tsarnaev's lawyers have asked that they remain sealed. More than 600 court filings and exhibits are being made public this week, but many more will remain sealed until the judge rules on their release. Prejean was allowed to testify. She said Tsarnaev expressed genuine sorrow about the victims of the bombing, quoting him as saying, "No one deserves to suffer like they did." During his sentencing hearing, Tsarnaev apologized to the victims and their loved ones. "I pray for your relief, for your healing," he said. But during the trial, prosecutors showed the jury a photo of a defiant Tsarnaev giving the middle finger to a security camera in his jail cell three months after his arrest. The documents released Wednesday also included some of the statements Tsarnaev made as he was being questioned by FBI agents in the hospital after he was captured. At the time, Tsarnaev was critically injured with multiple gunshot wounds following a shootout with police in Watertown and his capture inside a boat that police sprayed with bullets. Tsarnaev repeatedly asked about the condition and whereabouts of his older brother, Tamerlan, who carried out the bombings with him and died following the shootout with police. By the time he was questioned, Tamerlan Tsarnaev had been dead for nearly two days. A defense motion to suppress statements he made in the hospital said it was "apparent that the agents falsely told him that Tamerlan was alive." Tsarnaev, who was unable to speak because of a throat injury, wrote down his answers to the agents' questions. One of his notes read: "Is my brother alive I know you said he is are you lying Is he alive? One person can tell you that," according to the unsealed documents. Another note read: "Is he alive, show me the news! Whats today? Where is he?" The motion also said Tsarnaev repeatedly asked for a lawyer as he was questioned on and off over a period of 36 hours. It also said he told investigators that no one other than his brother was involved and there were no remaining bombs. New documents were unsealed Wednesday in the Boston Marathon bombing case that reveal what happened in the hours after Dzhokhar Tsarnaev was captured. The court is unsealing about 600 documents, representing thousands of pages. One of the first that came out paints a new picture of a badly injured Dzhokhar Tsarnaev in the hospital, and accuses the government of denying him his rights, and even lying to him about his brother. Despite all that, they say the FBI questioned the younger Tsarnaev on and off for 36 hours. During that time and unable to speak because of a trach tube, the attorneys say Tsarnaev repeatedly asked for a lawyer. “He wrote the word ‘lawyer’ ten times, sometimes circling it,” according to the document. But no lawyer was provided. The documents also describe what authorities were searching for at the bombing scene, the Tsarnaev’s apartment and Dzhokar’s dorm room. They also outline the examination of tiny details like what kind of tape, glue and caulk was used to make the bombs. Many years ago when I was writing software for the NSA and DIA; there was a rumor that several DEA employees had been giving their drug addicted informants needles tainted with HIV and Hepatitis viruses. What is worse: Russian FSB employees poisoning a former employee with Polonium or the DEA infecting informants and suspects with the HIV virus? Audio confirmation of Department of Justice employees joking about committing crimes came from the warrantless wiretapping after 9/11. After 9/11 the NSA was ordered to, and began, data collection on local, state and federal police agencies. These days the DEA is not much more than a proxy force for the Defense Intelligence Agency.The Defense Intelligence agency oversaw and instructed on the use of torture at Abu Graib. The Department of Justice has been using torture to help fabricate evidence and make suspects look unstable. It is also being used to increase conviction rates. Long term sleep deprivation, drugging, physical stress positions, and psychological stresses are used to reduce suspects and make them accepting to suggestion and therefore higher conviction rates. Some suspects have been subjected to torture for many years; it is not unheard of finding ongoing "out of control" investigations lasting 20+ years. There is the incentive to continue harassing suspects because many agents that have unlimited access, steal from their suspects. It is possible that 10,000's have not gotten fair trials. Some FBI employees were also encouraging their suspects to buy guns while harassing them. The United States is not North Korea! Discrete torture developed by the Defense Intelligence Agency and used at Abu Graib has been a tool of the Department of Defense and recently the Department of Justice. It is used to drive targets into situations where they can be "legally" killed if a conviction is not possible. Does anyone remember Dr. Frederic Whitehurst? He was Supervisory Special Agent in the Federal Bureau of Investigation Laboratory. He blew the whistle on the FBI about how, for years, hundreds or even thousands of cases were tainted by faulty forensic work in the FBI Crime Lab, and very likely intentional. Fall of America and Rise of a NWO By 2012? The book in which they are embodied was first published in the year 1897 by Philip Stepanov for private circulation among his intimate friends. The first time Nilus published them was in 1901 in a book called The Great Within the Small and reprinted in 1905. A copy of this is in the British Museum bearing the date of its reception, August 10, 1906. All copies that were known to exist in Russia were destroyed in the Kerensky regime, and under his successors the possession of a copy by anyone in Soviet land was a crime sufficient to ensure the owner's of being shot on sight. The fact is in itself sufficient proof of the genuineness of the Protocols. The Jewish journals, of course, say that they are a forgery, leaving it to be understood that Professor Nilus, who embodied them in a work of his own, had concocted them for his own purposes. This site contains copyrighted material, the use of which has not always been specifically authorized by the copyright owner. We are making such material available in our efforts to advance understanding of environmental, political, human rights, economic, democracy, scientific, and social justice issues, etc. We believe this constitutes a ‘fair use’ of any such copyrighted material as provided for in section 107 of the US Copyright Law. In accordance with Title 17 U.S.C. Section 107, the material on this site is distributed without profit to those who have expressed a prior interest in receiving the included information for research and educational purposes. For more detailed information go to: http://www.law.cornell.edu/uscode/17/107.shtml.